The most popular match-3 game from Clean Master! Such a delicious Jelly Feast! Join Lily, Mr. Hare & Mr. Rabbit on their sweet adventure through the Candy Kingdom. Travel through magical lands, visiting wondrous candy palace and meeting deliciously cookie characters! Switch and match your way through hundreds of levels in this delicious puzzle adventure. The sweetest game just keeps getting sweeter! 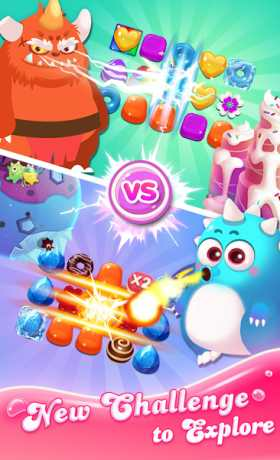 Jelly Blast is completely free to play but some in-game items such as extra moves or lives. ● Collect candy drops to advance along the candy track for special surprises! 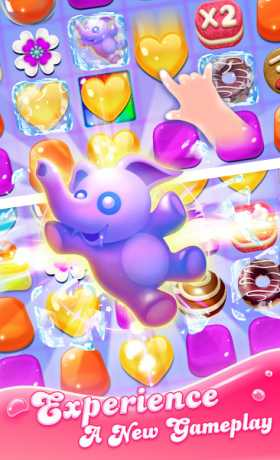 ● Hundreds of sweet levels in the Candy Kingdom – more added every month! Last but not least, a big THANK YOU goes out to everyone who has played Jelly Blast! 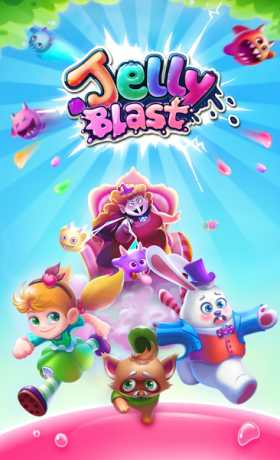 We hope you’re having fun playing Jelly Blast! We update the game every month so don’t forget to download the latest version to get all the sweet new features and levels!